The ultimate do-it-yourself guide for the outdoors enthusiast, completely updated for today's outdoorsman and now in full color. 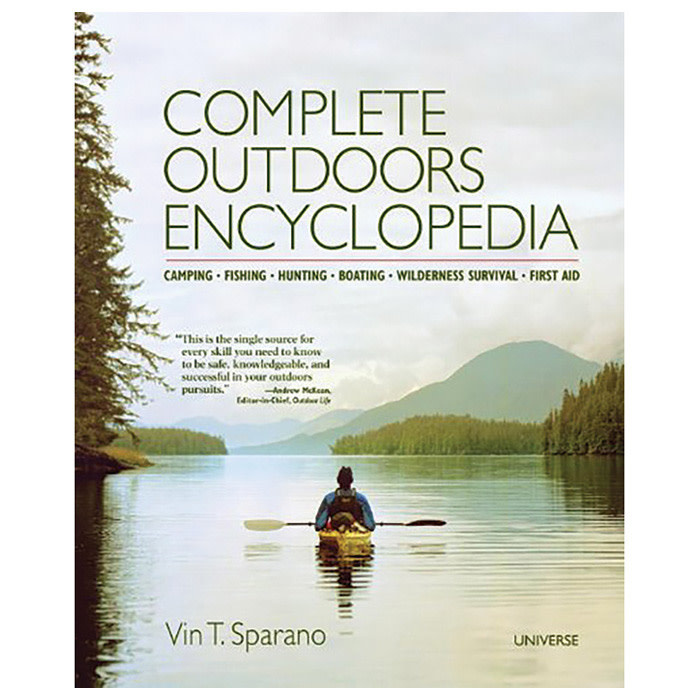 This latest (fifth) edition of the award-winning Complete Outdoors Encyclopedia will again prove to be the most effective outdoor skills instruction book ever published. This monumental guide to the outdoors is produced for the first time in full color, featuring more than 1,300 photographs and 1,000 diagrams and illustrations. Totally revised and updated, this indispensable resource offers in-depth coverage of hunting, shooting, fishing, camping, boating, survival, first aid, bowhunting, and species profiles of game animals, birds, fish, and sporting dogs. This book is a must-have reference guide for both novice and experienced sportsmen as well as any person planning to learn outdoor skills. To broaden the scope of this established reference work, author Vin T. Sparano has compiled brand-new sections on wilderness survival, all-terrain vehicles, and boating. He has included new information on GPS and increased focus on specialty sections such as flyfishing, sporting clays, backpacking, nutrition, and first-aid breakthroughs for outdoors emergencies. Complete Outdoors Encyclopediaclearly explains and illustrates the latest technologies and trends in the outdoors.